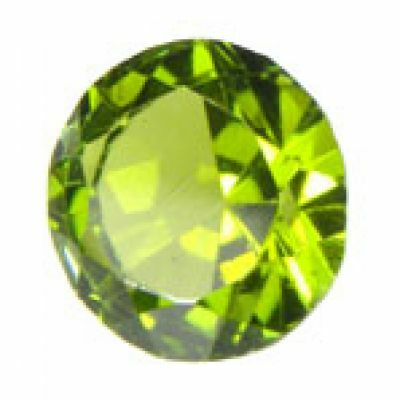 This stone might possibly be a Uvite, as I've seen Uvites this color from Mozambique. 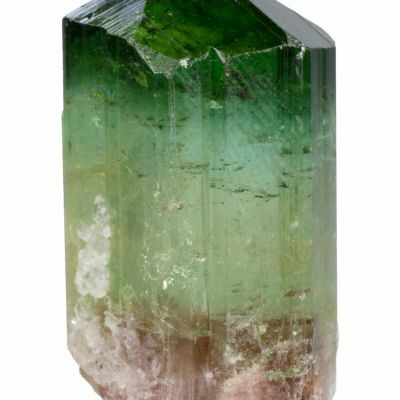 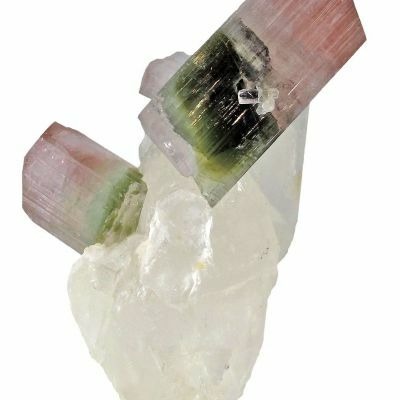 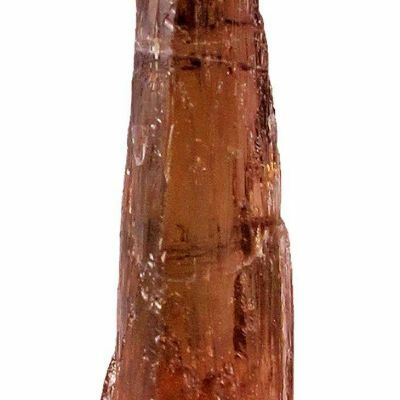 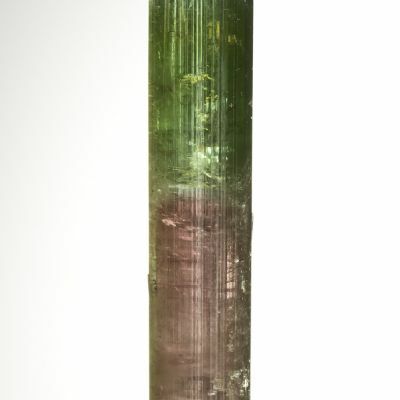 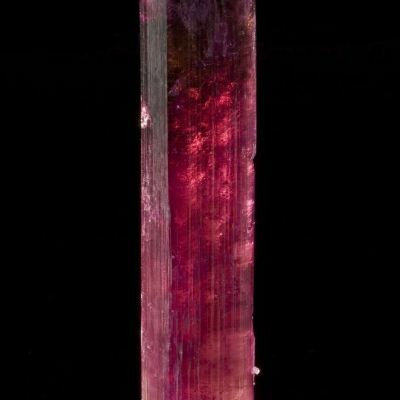 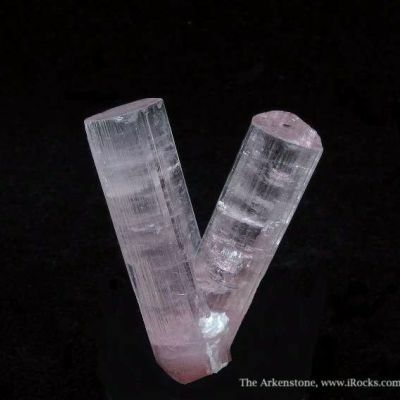 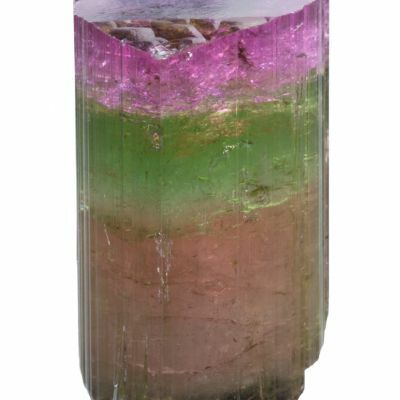 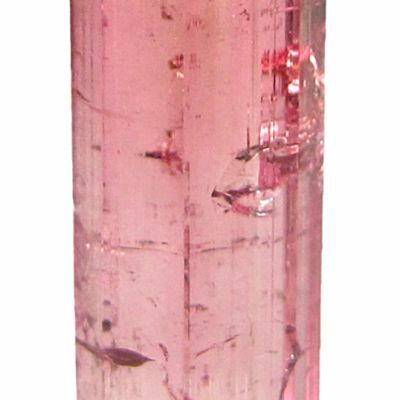 With that said, it is definitely an unusual color of Tourmaline nonetheless. 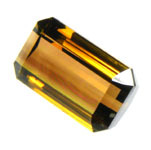 The stone has a rich golden hue with a very slight greenish overtone. 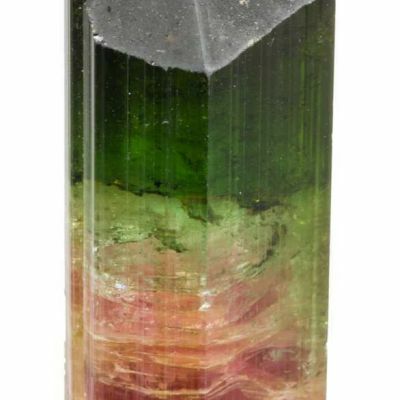 The stone has an "Emerald" cut. 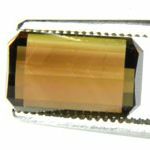 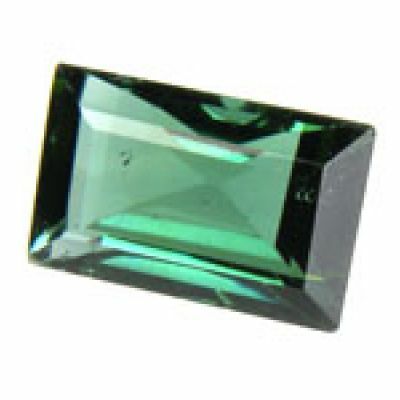 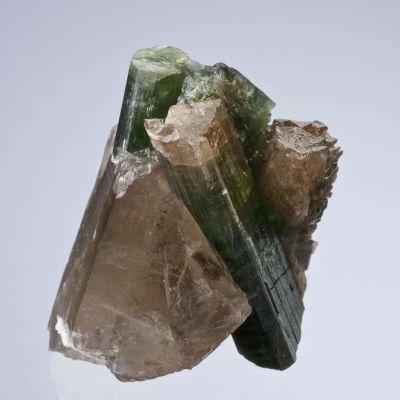 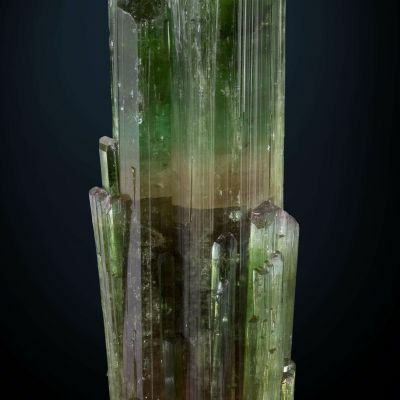 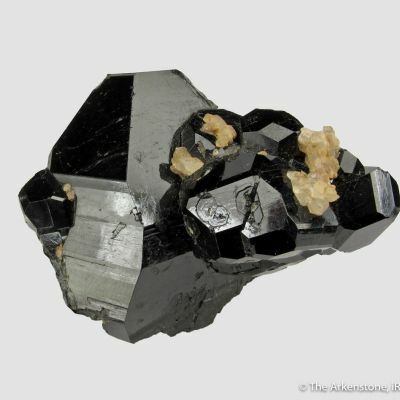 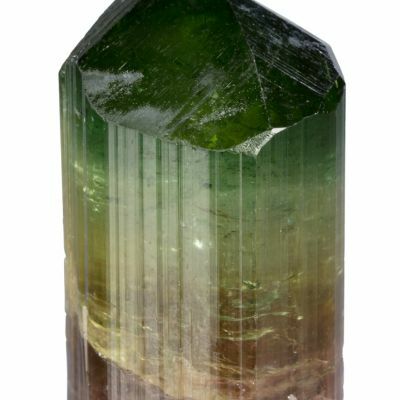 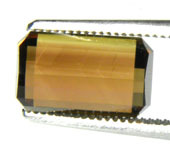 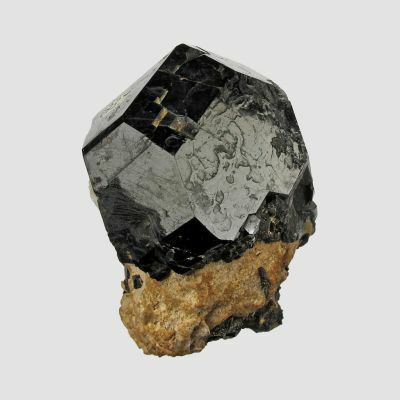 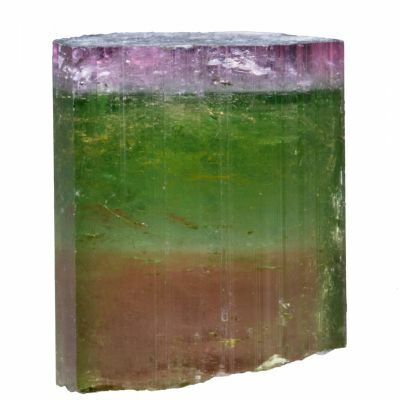 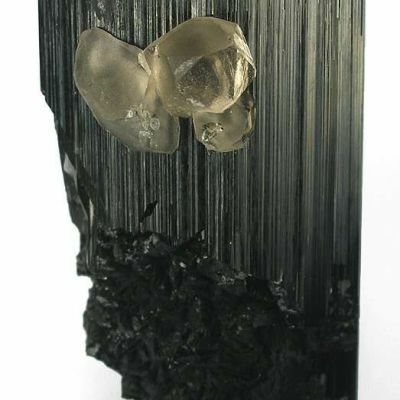 The stone is virtually eye clean, which is not common in Tourmalines this size. 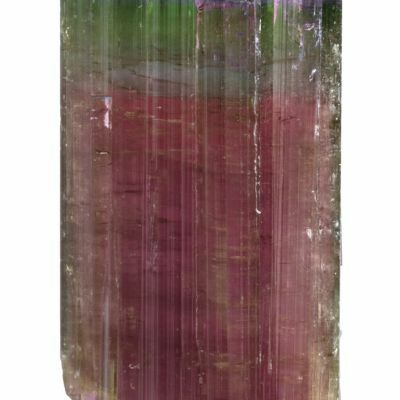 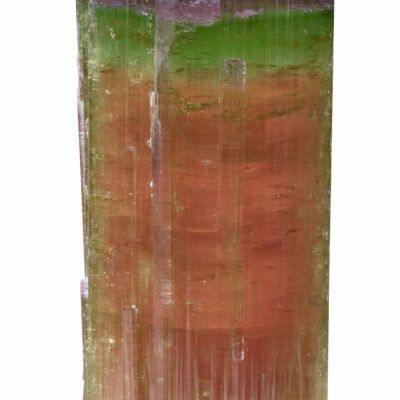 I haven't seen many Tourmalines this color from any locality, and it would definitely round out a Tourmaline gem suite to show off the various colors of these stones.